In order to keep the club wheels spinning we have a need to find people for the following activities. Don’t be shy, step right up. I’ve been besotted these past few weeks with a tome of the work of Graham Watson. You know, the guy that’s been photographing cyclists for the past four decades, hence the title of his book, 40 Years of Cycling Photography. His insights into life inside the peloton and array of anecdotes are a suitable accompaniment to his glorious images. For an enthusiast like myself, the epic images, behind the scenes insight and nostalgic journey through time with the equipment, the riders and the machinery is a perfect storm. I highly recommend this book. The inquest of Mike Hall is currently underway with emerging reports suggesting the investigation may be less than impartial. I’ll refrain from saying any more, other than to note there has been a lot of emotion expressed in various forums, which while understandable, isn’t especially helpful. Due process will take its course and I guess we shall see what happens then. I’ve linked a submission on the topic here. Cap’n Castaway Harry reports on the antics of the Castaway Crew. Why are we Castaways? Because we arrrrrrr!!! 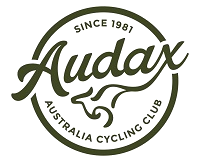 Ok so not an Audax ride, but pretty much what I’ve been up to for the past 12 months as an event organiser. We managed to send just under 300 riders around the Moreton Bay region in various directions. John and David rode 160 and 100km’s respectively. Olivia backed up from the Rollercoaster the day before to put away 100km for a worthy cause. On about 2 hours sleep, I took a lot of photos. Funds raised go to the Lions Charities. Hopefully I can join you all now this is done and dusted.